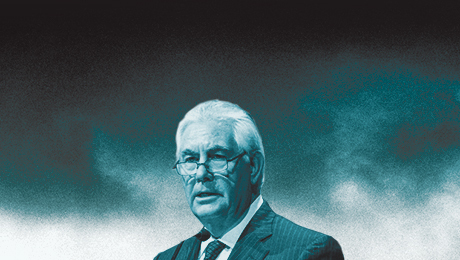 Resolutions to make oil and gas companies reduce greenhouse gas emissions have won broader shareholder support in Europe than in the U.S. ExxonMobil CEO Rex Tillerson is among those resisting change. For investors hoping to sway Exxon Mobil Corp. on climate issues, the oil giants recent annual shareholder meeting in Dallas was a bust. At the May event shareholders and their representatives  including Vermont State Treasurer Elizabeth Pearce; Friar Michael Crosby of the Province of St. Joseph of the Capuchin Order in Milwaukee; and Dominican Sister Patricia Daly, executive director of the Montclair, New Jerseybased Tri-State Coalition for Responsible Investment  stood to present and comment on several resolutions. Among their proposals: ExxonMobil should be required to add an independent board member with environmental expertise, set quantitative goals for reducing greenhouse gas emissions and report on efforts to minimize the impact of hydraulic fracturing, or fracking. Such endeavors keep growing in number. 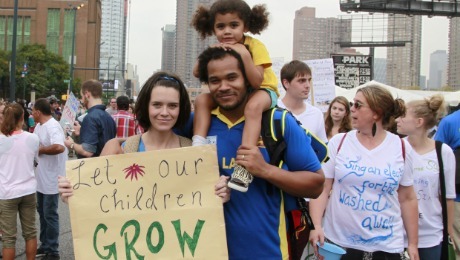 As of mid-June shareholders had filed 445 environment- and social-focused resolutions with U.S. companies in 2015, up from 437 for all of last year, according to the Sustainable Investments Institute (Si2), a shareholder proposal research group based in Boonsboro, Maryland. But even as this kind of engagement gains popularity, other investors are losing confidence in the approach  at least when it comes to some of the most change-resistant companies and industries. In fact, Si2 found that average support for shareholder proposals related to climate change has dropped to 21.9 percent this year from 23.7 percent in 2014. Asked by Friar Crosby if ExxonMobil has any plans to invest in renewable energy, Tillerson replied, Frankly, we choose not to lose money on purpose, to laughter and applause from some other shareholders. When votes were tallied at the end of the meeting, the shareholder proposal on emissions reductions goals had garnered only 9.6 percent support, down from 22 percent last year. The resolutions to add an environmental expert to the board and to report on fracking fared slightly better, with 21 percent and 25 percent, respectively. Environment-focused proposals won similarly weak support at Chevron Corp.s latest annual shareholder meeting: Only 8.2 percent of the San Ramon, Californiabased multinationals shareholders voted to require the company to report on its own emissions reductions goals. The comments that were made at the annual meetings by both Chevron and ExxonMobil just left me feeling that unless we can develop some new strategies and really get to some of the board members, its going to be very difficult to get them to change their plans, says Shanna Cleveland, a senior manager at Ceres, a Boston-based nonprofit sustainability advocacy group, where she leads the Carbon Asset Risk Initiative. Bill McKibben, the environmentalist and author who helped found the fossil fuel divestment campaign 350.org, thinks investors would be better off abandoning their engagement efforts with fossil fuel companies. In a June op-ed for the Washington Post, Vermont-based McKibben argued that although engagement by shareholders can be a useful way to lobby for adjustments around the edges of a company  within its supply chain, for example  the approach fails to force dramatic changes to its core business. Id say engagement around climate change with big energy companies has been the single least effective political strategy I can think of, McKibben tells Institutional Investor. Investors in ExxonMobil and Chevrons European peers have reason to put more faith in the engagement process. 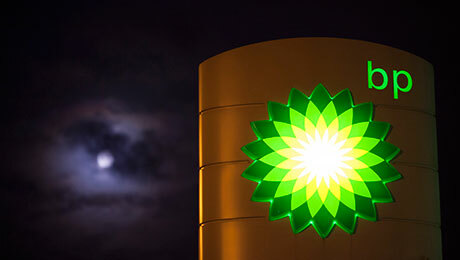 The boards of BP, Royal Dutch Shell and Norways Statoil recently backed similar resolutions to report on their companies so-called emissions management, and the proposals passed nearly unanimously. The divergent management responses from U.S. and European oil majors point to a widening transatlantic gap, noted a May post from Pensions & Investment Research Consultants, a London-based shareholder advisory consulting firm. That gap widened on June 1, when six European oil majors  Britains BG Group and BP, Eni of Italy, Shell, Statoil and Frances Total  released an open letter to world governments and the U.N. asking them to get moving on carbon pricing schemes. Ceres Cleveland says many investors in U.S.-based oil and gas companies will be considering a change of strategy heading into next years proxy season, which starts in the fall. She predicts an uptick in efforts to rewrite proxy access rules  so shareholders who have owned at least 3 percent of shares for three years can nominate directors  and taking advantage of those changes by nominating environmental experts. A resolution to adopt this proxy access bylaw  filed by New York Citys Office of the Comptroller  passed at this years Chevron and ExxonMobil shareholder meetings with 55.3 percent and 49.4 percent support, respectively. These [proxy access resolutions] may or may not play out with shareholders actually trying to nominate board directors, Cleveland says. But shareholders will have a chance to meet with the nominating committees and start a new conversation about who gets put on the slate, she adds.